FREE Gemini Daily Horoscope 2019 Revealed here now! Venus the lover and Mercury your ruler, the communicator line up in Aries today through early May. Shining on your 11th house of hopes, wishes and friendship, this makes it the perfect time for you to deal with any and all silly hiccups between you and a friend or friends. Especially Aries. Life Pursuit: To explore a little bit of everything. In ancient Greek mythology, Gemini’s ruler – Mercury, was the light-footed messenger of the gods who darted back and forth across the heavens delivering news – which might explain why those born under the sign of the ‘Twins’ are always on the move; thirsty for knowledge and new experiences. Terminally curious and sometimes even mischievous, Geminis are multi-faceted souls who enjoy knowing a little bit of everything but generally not too much about one particular subject. It’s just that variety is the spice of their lives! And no one is better at multi-tasking than the quixotic Gemini. Geminis have also gained the reputation of being the incessant talkers of the zodiac. Those Twins that don’t have the ‘gift of the gab’ are usually talented writers or have a special interest in foreign languages. In love, they look for a partner who can keep up with them mentally and physically! And, to quote Oscar Wilde, “there’s one thing worse than people talking about you, that’s people not talking about you.” Whether Geminis like it or not, people are usually “talking about them”. Together with Scorpio and Virgos, they are a sign that is often discussed, dissected and sometimes even put down by the other signs of the zodiac. Sometimes this is a subtle form of jealousy by others, because Geminis do lead very unique and unusual lives. The Gemini personality can appear mysterious or detached to others and therefore they are often misunderstood and unappreciated for the talents they offer to the world at large. Another reason Geminis evoke so much interest is many born under this sign are multi-dimensionally talented. In money matters, some Geminis are very adept and quick at making it…and spending it too. Many Geminis are involved in international financial wheeling and dealing. They love the adventure and game playing involved in out-thinking other people. Gemini’s can be very haphazard about their financial affairs too, with many of them ending up in divorce courts mainly because their partners have become tired of living on the edge of a financial precipice. You never let ‘them’ get to you – wonderful at handling embarrassments and pressures and coming out a winner every time. Fashion diva – always look good whether you’re rocking H & M or Hermes. Eternally young and childish – you’re the Peter Pan of the zodiac and we thank you for your innocence – which is never lost. You have a faulty punctuality gene – no matter how many watches or alarm clocks you possess, you’re always LATE! But hey, the reasons why you’re late are priceless. You refuse to back down and lose an argument gracefully – throwing words around till 3 am until the other person surrenders. You tend to ditch your old friends for new playmates – very hurtful! Get a 9 minute FREE Gemini Daily Horoscope Reading by Astro Wing! Keen, one of the biggest psychic platform online since 1999. With more than a thousand psychics on their platform, they have provided readings to millions of people with a 100% satisfaction guarantee. Astro Wing is one of the most featured psychics on Keen.com with more than 22,296 readings since 2001. 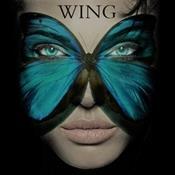 It is very difficult to maintain a good rating with such a good number of readings but Astro Wing has maintained an average rating of 4.9 . Her psychic abilities are god gifted to her which she uses to empower her clients. It is not just a consultation, it is an experience that you get from a psychic who gets to know many things about you simply by talking to you. Keen is running an offer that you get first 9 minutes free of cost after you sign up & you will be charged $1.99 for the 10th minute. There is also a 100% customer satisfaction guarantee which for this price is really amazing! Hit the below button & dial extension 0168051 to arrange a call back from Astro WIng! Get your Gemini FREE reading by Astro Wing now!